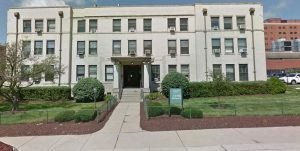 On December 5th, Bloomfield Development Corporation and Bloomfield-Garfield Corporation co-hosted a community meeting to review West Penn Hospital’s plans to demolish the Daly Building at 366 Gross Street and an adjacent house at 348 Gross Street. The Hospital plans to remove the two unused buildings and temporarily turn the area into green space. Much of the community discussion centered on the demolition process, such as the location of dumpsters and equipment, the 8am to 8pm hours of construction work, and the roughly two-week timeline for removing the Daly Building. The meeting also, however, touched on broader issues such as ideas for the space’s use and the impact of the Hospital on neighborhood parking. West Penn is beginning the process for its new 10-year plan, so there will be more community meetings in the months ahead around both the future of the 366 and 348 parcels and the future of the Hospital as a whole.